Julian and Michael Omidi have long been involved in sponsoring charitable causes that range from standing up to animal abuse to delivering aid to the poor around the world. Aside from donating money and initiating fundraising programs, however, the Omidi brothers also like to go beyond the usual philanthropic efforts. Indeed, in certain exceptional cases, they actually roll up their sleeves and put their skills to directly assist those in need. A remarkable example of their propensity for direct involvement in charitable work took place in the summer of 2013 when Julian and his mother, Cindi, sponsored Michael Omidi’s mission to travel to Philippines and operate on a man suffering from a massive neck lump caused by a thyroid goiter. The 20-year-old patient in question had lived with his condition for 10 years. Since his large neck mass set him apart from the rest of people in his village, he found himself alienated from the rest of community, unable to keep a stable job or maintain a romantic relationship. Incapable of supporting himself financially, the man had been living with his aunt and her 6 children since both of his parents had passed away a while ago. For many years, he had been trying unsuccessfully to seek medical care for his condition by applying for various social programs that sometimes covered his doctor visits, but were generally insufficient to provide for any sort of effective treatment. When local physicians advised him to undergo tests such as MRI and CT scan, he often found himself unable to follow up on these recommendations. In the absence of adequate medical facilities in his village, the patient’s only option was to travel to the cities in order to have the aforementioned diagnostic procedures done. Unfortunately, not only did he lack the funds to travel, but his social programs did not even cover the tests. Making the mattes worse, local medical facilities required a long wait to undergo the MRI and CT scan, thus delaying the much-needed treatment. Upon hearing the patient’s story, Julian and Cindi Omidi promptly gathered the funds to organize a charitable mission and deliver assistance as quickly as possible. To ensure success of the mission, the Omidi family also reached out to Yolanda Abaca, an experienced nurse and philanthropist who helped organize social workers and handled communications with the governor. Her daughter, Maria Abaca, oversaw the surgical details of the medical mission and, working closely with Yolanda, took care of innumerable tasks in preparation for the trip. The success of this mission could not have been possible without their invaluable contributions. When Dr. Michael Omidi, a renowned plastic surgeon based in the Los Angeles area, arrived in the city of San Miguel, Bulacan Province, to perform an in-person exam, he was greeted with scorching heat. With the temperature outside being as high as 105 degrees, the patient came in wearing a scarf around his neck, immediately raising concerns about the severity of his condition but also attesting to his longstanding plight. Given the urgency of the situation and a limited amount of time at their disposal, Dr. Omidi and his staff quickly made arrangements for a CT scan. In order to guarantee safety of the procedure, they also made a thorough assessment of the facilities at a district hospital and, upon finding them inadequate to handle cases of this magnitude, insisted on access to the university hospital. In order to secure approval, Dr. Omidi convincingly demonstrated that the patient would need blood work, access to intensive care unit, and potent medications to manage the cardiovascular status (e.g., drop the pressure around large vessels, increase the blood pressure, ventilator to manage the airway overnight). On the first day of surgery, Dr. Omidi and Dr. Lee Au removed the tumors from the front section of the neck. Following this procedure that took 16 hours, the patient remained in the intensive care unit overnight, intubated on the ventilator. On the second day, the patient was brought back to the operating room and Dr. Omidi spent an additional 8 hours to remove the tumors from the backside of the neck. In the end, the surgery was a resounding success. All the tumors were removed along with half of the thyroid that was responsible for causing the neck mass. Dr. Omidi and his staff were careful to ensure that there were no injuries to any of the numerous nerves in the head and neck area. The patient recovered well and was sent home 4 days after the surgery. In the months that followed, the Omidi brothers kept in touch with the patient who has now effectively assimilated back into his community. He no longer has to wear a scarf in the midst of a summer heat to earn acceptance from the townsfolk. The last time we have heard from him, this man has found a girlfriend and is currently studying at the local university to realize his goals of entering the construction industry. His dream is to build a new house for his aunt who lives in an old and rundown shack. Sometimes, it takes not only financial assistance but also personal commitment and hard work to make a difference in someone’s life. At the end of the day, Julian and Michael Omidi know that helping a fellow human being in need is worth every effort, penny, and time spent. Cecil the Lion was known around the world even before he was shot and killed by American dentist Walter Palmer just outside of an animal protection area in Zimbabwe this July. 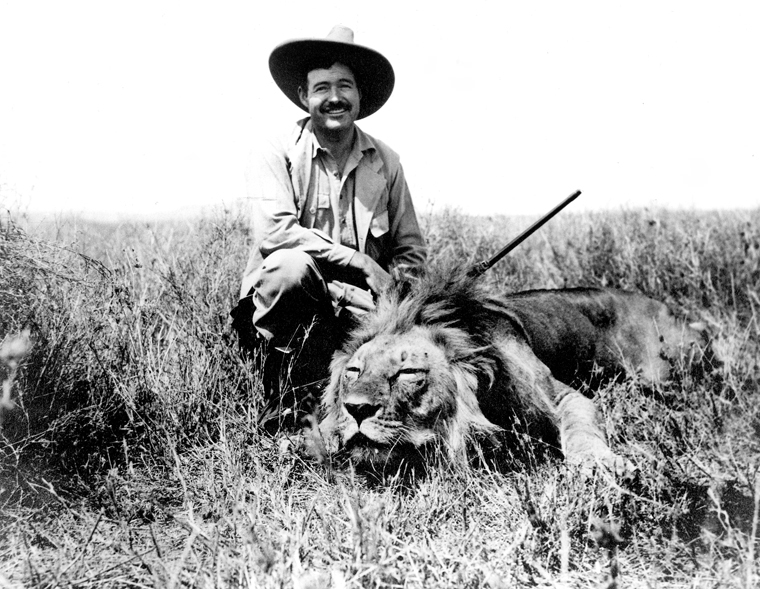 He was part of an Oxford study and a perennial favorite for families visiting for safaris. His tracking collar provided scientists at Oxford a wealth of information about his hunting and roaming habits, giving us a better idea of how these big cats survive in an increasingly hostile area. The circumstances of his death make the matter even more troubling. Cecil was lured outside of the animal protection area with raw meat attached to the back of a pickup truck. Once he was “fair game,” he was shot with a bow and arrow. Walter Palmer and his guides tracked the wounded animal for more than 40 hours before he was finally killed. In a final act of disgrace, the killers hid Cecil’s radio collar in an attempt to cover up what they’d done. Palmer had paid $50,000 for the hunt. No amount of indignation is bringing Cecil back, but the hope is that his death could bring much-needed attention to the field of animal rights, specifically with regard to poaching and legal hunting in Africa and around the world. The president of Zimbabwe didn’t mince words in his response to the killing. Speaking to Zimbabweans in general, he said “Even Cecil the lion is yours. He’s dead, but he was yours to protect and you failed to protect him.” The fact of the matter is that Westerners are willing to pay huge sums for big game hunting, legal or otherwise, and it’s difficult to prevent impoverished locals from jumping at the money. The outrage wasn’t reserved to the continent of Africa. People all over the world are calling for more concerted conservation efforts. Delta, American, and United airlines all announced that they would stop transporting parts of animals killed in trophy hunts. It’s a bitter pill to swallow, but perhaps some good can come out of his death. It’s hard to imagine huge, multinational corporations taking such steps if an animal like Cecil had not been killed. And the issue of animal rights, so important to us here at Animal Support, is receiving more attention than ever before. What we can do is take the anger and outrage and use it as motivation. There are conservation battles going on right here in the United States, specifically with reintroduced wolves in and around Yellowstone National Park, or the red wolves of the Alligator River National Wildlife Refuge in North Carolina, of whom only 100 remain. Julian Omidi is co-founder of Animal Support, a nonprofit that works to help animals in need. 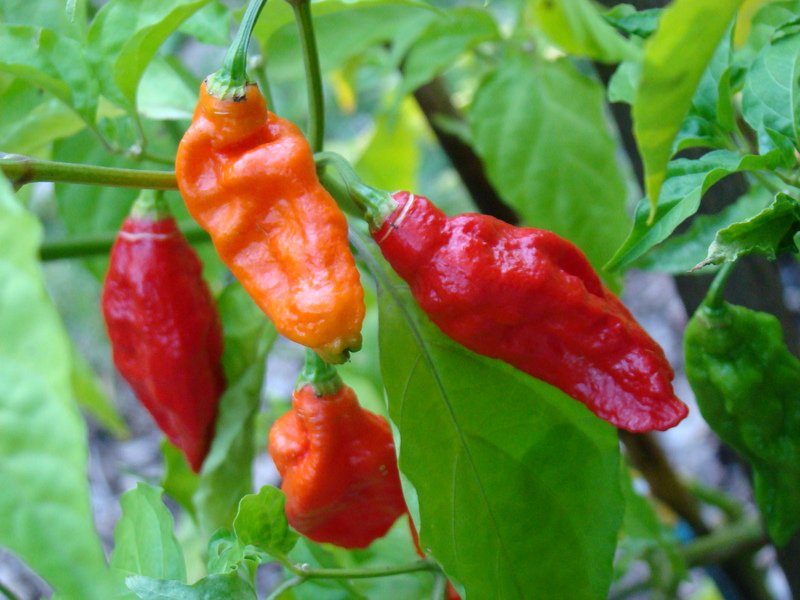 Julian Omidi discusses recent findings that suggest eating spicy foods may help you live longer. Every day there seems to be some miracle cure or other being reported on the news. Today red wine is bad for us, yesterday it can prevent heart disease. Today coffee causes high blood pressure, tomorrow it prevents cancer. There’s “good” fat and “bad” fat, but which is which? It can be difficult staying abreast of health news with a 24-hour news cycle. The important reports are often buried underneath a pile of interest stories and reports on questionable miracle cures. A recent report from none other than the Harvard School of Public Health has shown that spicy foods have a variety of active components that are beneficial to human health. The study took place in China between 2004 and 2008, and included responses from over 500,000 people between the ages of 30 and 70. Then they reviewed the cases of around 21,000 people who died during a seven year follow-up period. Those who ate spicy foods six or seven times a week were 15% less likely to die a premature death. Specifically, those who ate spicy food frequently were less likely to die from cancer, heart disease, and respiratory system diseases. The most common source of spice was fresh or dried chili peppers, which are loaded with a bioactive ingredient called capsaicin that burns fat, fights infection, and stimulate the lungs, kidneys, and heart: all important factors in a person’s long-term health. Whether these very exciting claims can be nailed down and recorded as scientific fact or not is still up in the air. It’s a study from one area of the world including around half a million people and more information is needed. Regardless, chili peppers have a high level of phenolic content: chemicals with nutritional and anti-inflammatory qualities. Spicy food has also been shown to protect the stomach lining, boost metabolism, and prevent diabetes. With all these ancillary health benefits, it’s no wonder people who ate them 6 to 7 days a week lived longer. Before you go out and buy a bunch of nachos smothered in hot sauce, remember that there are a lot of different kinds of spicy foods out there, and not all of them are good. To enjoy the health benefits of chili peppers, they should be eaten as part of a nutritious meal. Spicy foods may exacerbate people with digestive disorders, in which case they will do more harm than good. And remember, most importantly, don’t touch your eyes after handling chili peppers! Julian Omidi is the co-founder of the Children’s Obesity Fund, No More Poverty, Animal Support, and Civic Duty, all of which are charitable organizations that support a variety of causes in the United States and across the globe. In today’s blog, Julian Omidi discusses JFK Airport’s plans for an exciting new animal facility. 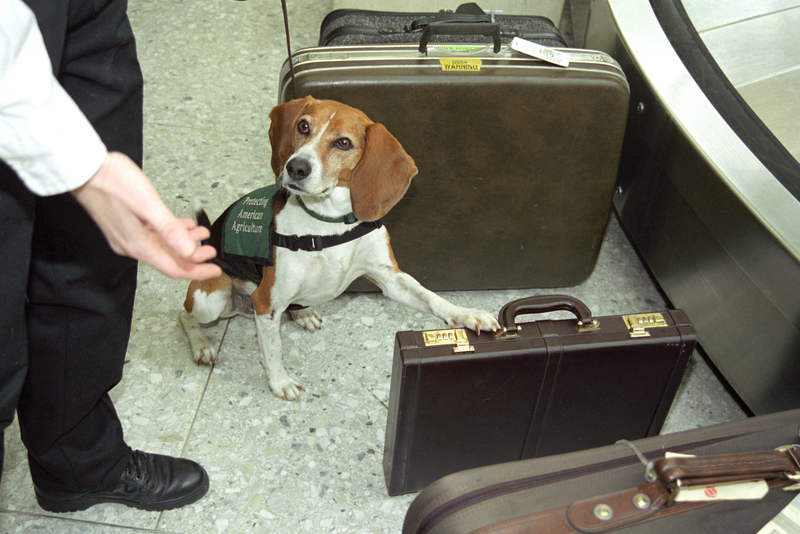 If you’ve ever had to travel with animals, you probably already know it’s a hassle. However, this may soon be a thing of the past. New York’s JFK airport has announced plans to open a 178,000 square foot facility specifically designed to accommodate animals of all kinds. The rules for traveling with animals generally involve a mandatory quarantine to prevent bringing contagious diseases into the country, and the new facility will be able to shelter animals during this period—hay-lined stalls for cattle and horses, an aviary, and holding pens for smaller animals. The $48 million facility is to be called The ARK, and will open next year. The ARK will also accommodate specifically to dog owners in collaboration with Paradise 4 Paws, and will include a luxury resort with splashing pools, dog masseuses, flat screen TVs, and “pawdicures.” Cornell University veterinarians will also run a 24-hour clinic in the facility, which caters to all animals. ARK architect Cliff Bollman claims that their design process “is in collaboration with veterinarians and consultants to help minimize the amount of stress placed on the animal.” The facility is even helpful for owners of animals that do not need to be quarantined, which will be held safely at The Ark until their owner picks them up upon arrival. The cleverly-named facility is projected to have the capacity to house over 70,000 animals per year. The ARK will be especially popular with owners of animals competing in shows, such as horses, as it is the first luxury animal travel facility of its kind in the world. However, it won’t be cheap: for example, some dog suites may cost their owners upwards of $100 per night. Hopefully The ARK will open next year with success, and may even pave the way for similar, more affordable facilities in travel hubs around the world. 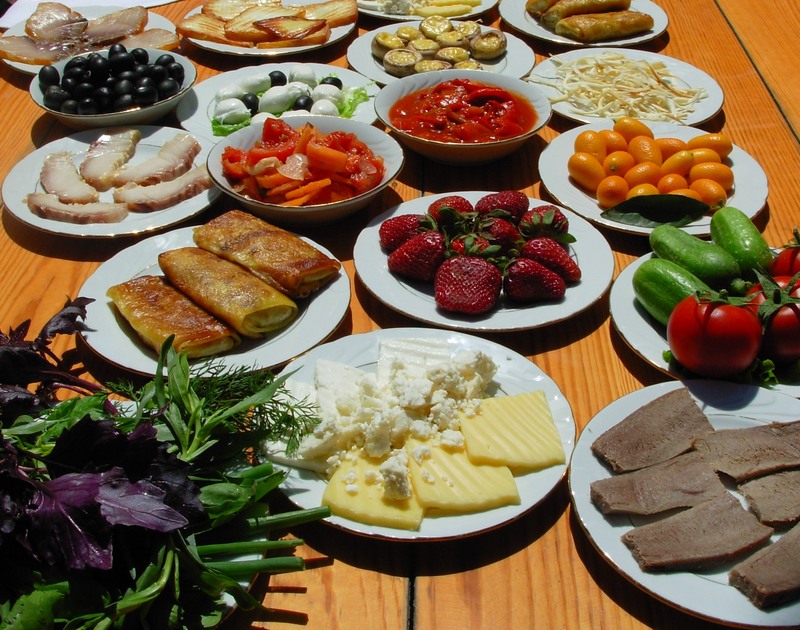 In today’s blog, Julian Omidi discusses the importance of eating a rich and varied diet. Earlier this week, the Chicago-based Institute of Food Technologists hosted a summit called IFT15: Where Science Feeds Innovation. Chief scientific officer of MicroBiome Therapeutics, Mark Heiman, gave a particularly insightful speech that summarized his research regarding human diet over the latter half of this century. Heiman claims that in both developed and undeveloped countries, a loss of “dietary diversity” has led to alarming increases in obesity rates, as well as Type II diabetes and gastrointestinal problems. For example, we’ve been consuming an inordinate amount of carbohydrates such as rice, maize, and wheat—which make up an average of 60 percent of our daily calories. He also discourages “fad” diets in which certain nutrients are eliminated completely, limiting one’s nutritional intake. “Like any ecosystem,” Heiman said, “the one that is most diverse in species is the one that is going to be the healthiest.” Food that are high in carbs and fat are the cheapest to manufacture, and therefore cheaper for us to buy. Especially over the past 50 years, obesity rates have been rising most prevalently in countries that are consuming more junk food. But the facts cannot be ignored: human beings need variety in their diet to function more efficiently. The potential health benefits from doing so are enormous, the most obvious being greater life expectancy. An easy-to-remember way to eat a more richly-varied diet is the more colors on your plate, the better. You don’t need to completely deprive yourself of fat and carbohydrates, but remember: all things in moderation. Avocados are a great example of foods rich in “good fat”, or unsaturated fatty acids, and their consumption can even help lower cholesterol levels. Julian Omidi discusses the ‘sixth extinction’ and how the elimination of species may lead to the end of mankind as we know it. Mankind may be approaching another extinction event. That’s at least the thoughts of Paul Ehrlich, senior fellow at Stafford Woods Institute for the Environment. What is being known as the ‘sixth extinction’ has Ehrlich and his co-authors calling for the conservation of animals and their habitats. Today, lets look at his work and the potential threat facing our ecosystem. Recently published in Science Advances, the study shows species are entering extinction at 100 times faster than the normal rate. If continued at this rate, it could take millions of years to recover. The estimate was based on research of fossil records and other extinction counts from a variety of records. Their thoughts, their findings severally underestimate the severity of the situations. A large contribution to this is humans impact on the environment. This includes introducing invasive species, land clearing and logging, as well as carbon emissions. It is thought the damage to ecosystems by such practices will eliminate the natural benefits for generations to come. The authors suggest that avoiding this type of event will take rapid change. This would require adding conservation efforts to already endangered species as well as working on reducing climate change and altering their natural habitats for commercial gain. To change this then, we must go further than protecting animals rights, but also consider the ecosystems that promote biodiversity. We must make a large scale shift of our consciousness towards how we obtain our energy, how we build housing and even how we distribute food. The study makes clear that mankind has the biggest part in the spark of the sixth extinction. Only time will tell the impact this event could have and our ability to postpone it. It seems that any form of advancement in technology has some negative impact of the Earth’s ecosystem. If we are not careful, the next few generations of mankind may suffer our ignorance. Julian Omidi is the co-founder of Animal Support, a nonprofit that advocates for the well being of animals around the world. In today’s blog, Julian Omidi discusses animal extinction and how we can get involved in stopping it. Animal extinction is a global issue that doesn’t get discussed enough. According to the Center for Biological Diversity, literally dozens of species are going extinct every day—and it’s mostly our fault. Human activities over the past century have caused a shocking number of consequences for animals, the most significant being global warming and habitat loss. It’s even more important than ever to raise awareness and involvement in order to slow these alarming rates of extinction. One group found a rather creative way to do this– through photography. 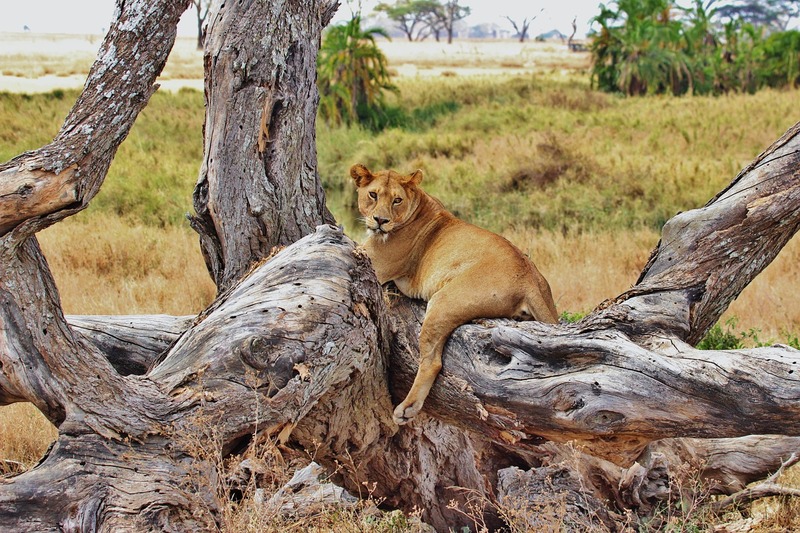 Between June 2010 and May 2013, a research team led by Alexandra Swanson set up over 200 cameras in Serengeti Park of Tanzania. Their goal was to capture the lives of endangered species that would be difficult to photograph in the presence of humans, so the cameras were mounted on trees or other still objects. They incorporated both motion and heat sensors so that when an animal was near, the camera would be triggered automatically. As a result, more than 1.2 million sets of photos were captured during this time. The research team was obviously quite overwhelmed by the sheer volume of images they’d have to start sorting through, so they asked an online “citizen science” portal called Zooniverse to help. Here’s how it works: anyone, even without a background in science or zoology, can log on to this website and register to help with the Snapshot Serengeti project—or a number of others, which cover nature, wildlife, climate, humanities, and even space! Zooniverse uses an algorithm to narrow down the species of the animal photographed based on a number of characteristics that the user can select. With the help of Zooniverse and 28,000 citizen volunteers from all over the world, Swanson’s team was able to make successful identifications of 48 different species as of last week, many of which are classified as endangered. The project is still open, so I encourage you to try making some identifications of your own! It’s a fun way to make a difference and learn about rare species of animals. Julian Omidi is a philanthropist and co-founder of the non-profit organization, Animal Support. Will Going Vegan Save the Animals? In today’s blog, Julian Omidi discusses National Animal Rights Day and the practicality of living vegan. Besides signifying the last day of May and graduation season, May 30th also marked the fourth anniversary of a fairly new U.S. holiday—National Animal Rights Day(NARD), which was started by the animal rights and conservation-focused non-profit Our Planet Theirs Too. OPTT is just one of many organizations that promote a vegan lifestyle as indispensable toward furthering their goals of living in harmony with and respecting all animals. 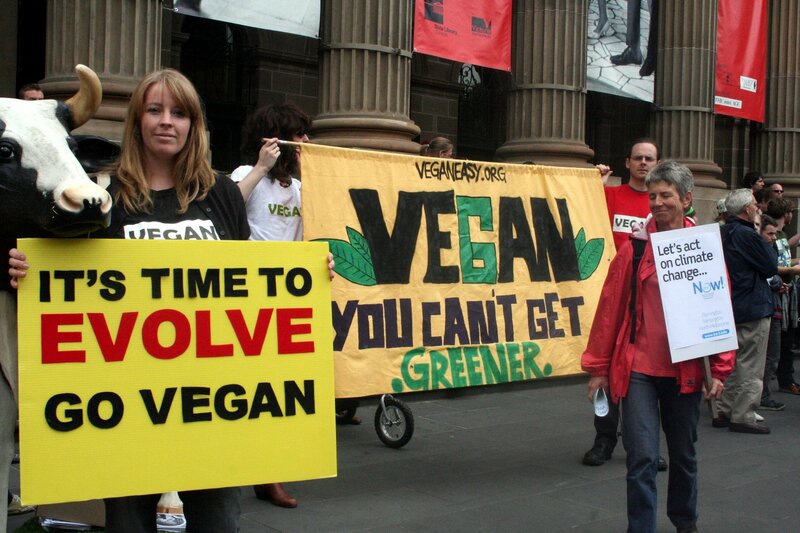 In fact, many activists openly criticize those who do not choose to abide by this lifestyle, arguing that animal support should be all-or-nothing when it comes to diet. However, not everyone has the means to do this. Because of income inequality in the US, those who live close to the poverty level have very few choices in terms of the quality of the food that’s available to them. A single mother who is working a minimum-wage job, for example, cannot afford to drive 20 miles to the nearest organic grocery store and buy an $11.99 jar of vegan, ethically-sourced cashew butter. A vegan, or even vegetarian, lifestyle requires at least some level of financial commitment. So is it possible to remain actively conscious of animal welfare and still partake in meat and/or animal by-products? The answer may not be all that straightforward. But if going completely vegan would be impractical in the context of your lifestyle, there’s no need for misplaced guilt. The key is to be mindful of what you are choosing to consume, and to always ask questions—for example, do you know where your dinner came from? What about your cashmere sweater? Choose brands that are sustainable, fair-trade, and cruelty free—and this applies to clothing, cleaning supplies, beauty products, and many more types of goods you might not even think of! For those that do choose to go completely vegan, there are so many resources out there for you to take advantage of, such as recipe/lifestyle blogs, magazines and even cooking shows. Over the past decade, an increasing number of restaurants have started to offer creative vegan options; some even have entirely vegan menus! I encourage you to spread the word and get even more people involved in National Animal Rights Day; it’s a wonderful endeavor to spread awareness of animal welfare. And remember to live mindfully and treat all beings with respect. Julian Omidi is a philanthropist and co-founder of the non-profit Animal Support. In today’s blog, Julian Omidi discusses the rights of animals in the livestock production sector. Are big businesses finally coming around to furthering animal rights? Wal-Mart and Sam’s Club issued press releases late last week that have captured the attention of both the media and animal welfare activists: a promise to abide by these five freedoms in order to enforce the humane treatment of farm animals, and improve the sustainability of the resulting food products. It’s a move that echoes recent statements from the likes of Perdue, Tyson, and McDonalds—to name just a few. Is this a genuine effort to facilitate a positive change in the retail industry, or just a strategic PR move to shift attention away from questionable labor practices in the past decade? Regardless of intent, at least it’s a step in the right direction. Corporate transparency is certainly one way to hold institutions accountable for what might be happening behind the scenes. This brings to mind countless past animal abuse scandals– and the resulting popularity of documentaries that made attempts to expose them. One positive result of this decision is a widespread awareness of the harm that human antibiotics have on animals. Your average Joe may not be familiar with the Five Freedoms or the ASPCA, but he sure recognizes the phrases “Save money. Live better” and “I’m lovin’ it.” The initiative for antibiotic-free animals is becoming increasingly relatable for Americans, and I hope to see the trend continue. Julian Omidi is a philanthropist and a co-founder of Animal Support, a nonprofit organization that exists to further animal rights around the world. In today’s entry, Julian Omidi discusses a new Gallop poll that suggests Americans are increasingly favoring equal rights for animals. From 2003 to 2015, those that stated “animals don’t need much protection” remained consistent at only 3%. However, the response “animals deserve the same rights as people” has increased over the years. In 2008, those that felt animals should have equal rights as humans was at 25%. That response has increased to 32% making the national opinion a 7% increase. That means, more people believe that animals should have equal rights as humans. The findings showed that this response crossed gender, age and political orientation. From 2008 to 2015, there was a rise in the number of men, women, democrats, republicans and ages 18 to 50+. Meaning, Americans as a whole want better rights for animals. 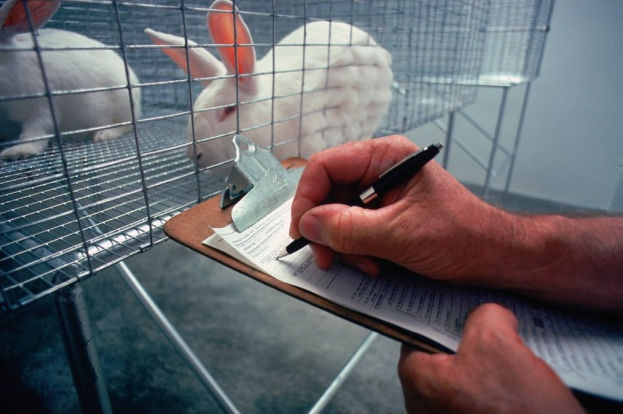 The poll also addressed environments where animals should have better treatment. This included amusement parks, research facilities, sporting events as well as others. A majority of the people were either somewhat concerned or very concerned about the treatment of animals in professional settings. This shift is a small victory in the treatment of animals. It is good to see that Americans are becoming increasingly concerned with the rights of animals. The more the majority opinion can transform, the more likely animals will obtain more protection and better treatment by society as a whole. If you are concerned about the well-being of animals, do your part. Advocate for better treatment of animals by joining groups, writing your representatives and voicing your stance online. The more we can share information and reach other people the further we can advance the wellness of animals throughout our country and the world. Julian Omidi is the co-founder of Animal Support. He advocates for the fair treatment of animals around the world.